There has been a lot of news about comics in that one particular day. I really enjoyed Comic-Con day 1, but it wasn’t mind blowing. Here are the new comic books that were announced! This news was very exciting. We knew that it was coming, but we have more news of it that we should properly get into. 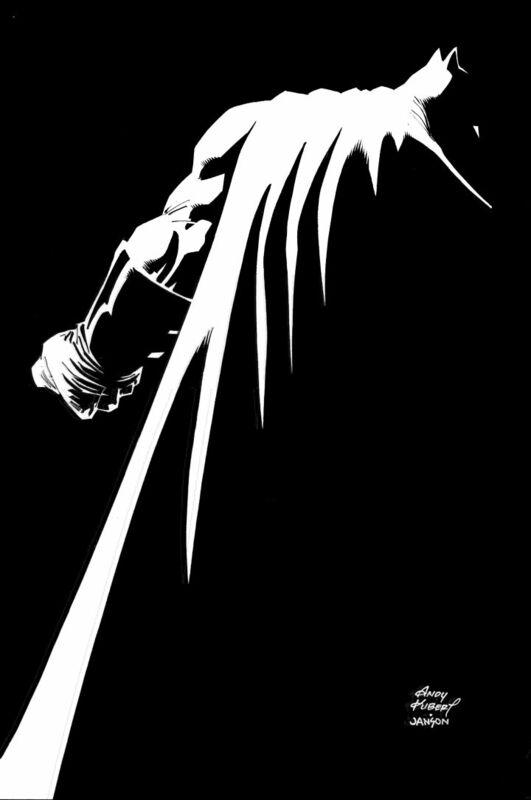 This series will be written by co-writers Frank Miller(man who created the blockbuster story) and Brian Azzarello. This paring is perfect, but wait there is more! They will bring back old Batman artists Andy Kubert and Klaus Janson. Inside of each issue the readers will get a 16 page standalone story that takes place in the DK universe. So my guess is that each issue is fat. The mini stories will be written by different rotating teams. The team wants to inspire a new generation of writers, while Scott Snyder himself explained that he read the script and they said it was amazing. It is rumored for this story to be about adult Carrie Kelly as she tries to find her “Robin”. My guess is this story will be about an adult Carrie Kelly who is leading a Master Race that follow and agree with Batman’s perspective. This story comes out this Fall so everyone be prepared, because this will be the closure to the DK Trilogy. At the Blizzard panel during SDCC it was revealed that Legendary Comics will create a prequel to the Warcraft 2016 movie. Now this franchise is popular thanks to it’s video game ancestry(because it first became game) so, this comic will have no problem to try and find source material if needed to. The story will be written by Chris Mentzen who is not a comic book writer, but rather the man who works at Blizzard. This prequel looks interesting and it is the time to be a Warcraft fan with all the films and comics coming out. Expect that to come out in May 2016. More love for video game franchises becoming comic books! And funny enough this is another video game franchise that will be getting a film in 2016, but so far of what we know of this isn’t a tie-in with the film, but most likely the game series. The cover looks to have a protagonist who is a female Assassin,(players barely get to play as the females in the games) from this modern age. We can also see her blade to be giving off a bright blue light. Not much about the series was announced, but expect for more news about this book to come out, since this series will come out October 2015! It looks like it is worth being a video game fan. Hopefully more news will emerge of new comics coming since it’s the 2nd day of Comic-Con. Thank you so much for reading and taking your time. Remember, for more Comic-Con and other comic news, stick to Comic Booger.